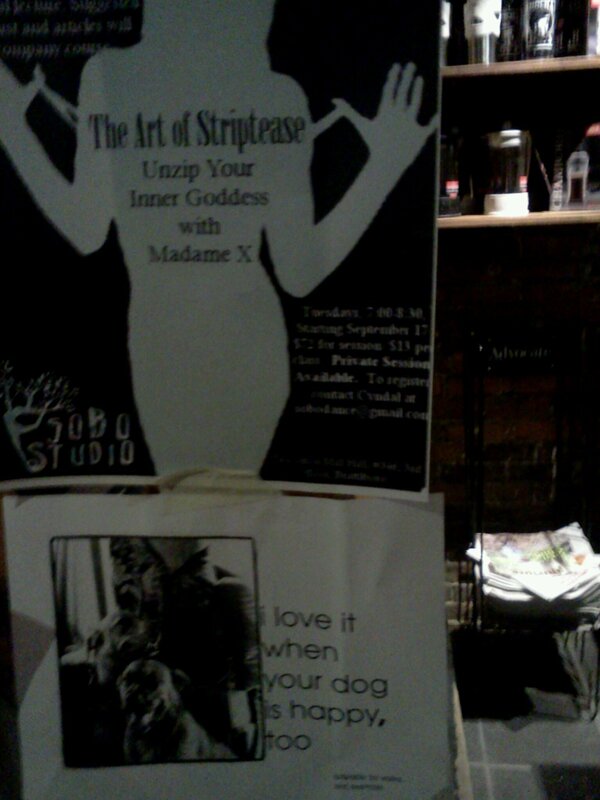 These posters, found at Mocha Joe’s cafe in Brattleboro, VT, are a wonderful example of unfortunate sign placement. These posters were not intended to be posted together and, I’m assuming, were put up by two different people. However, because they were put right next to each other, the result is pretty awkward. I guess the enthusiasm can be admired, but there are other–far less creepy–ways to make a dog happy. This entry was posted in Uncategorized and tagged brettleboro, cafe, funny, humor, posters, travel. Bookmark the permalink.